It’s that time of year again, the halls are decked and the streets are decorated. 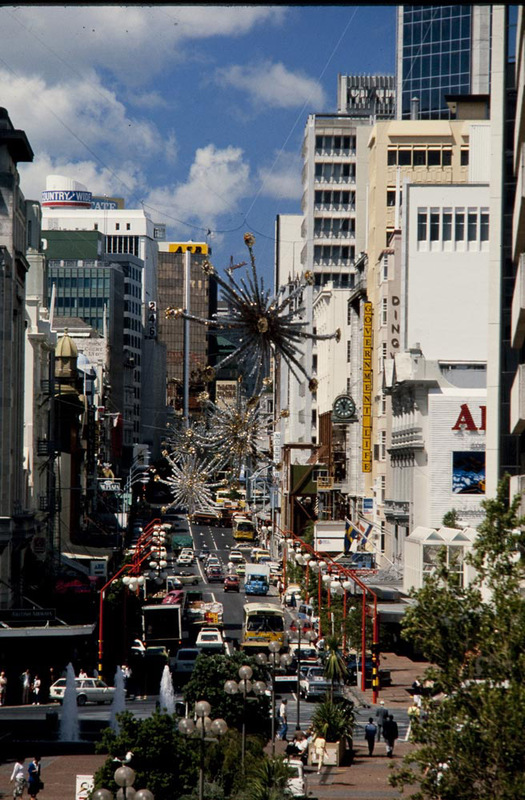 Ref: Eric W Young, Looking south along Queen Street..., 1980s, Sir George Grey Special Collections, Auckland Libraries, 1021-52. Have a look at 12 days of Auckland Libraries Christmas on our website for all the festive things going on around the region. 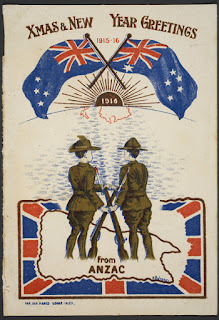 Ref: New Zealand Expeditionary Force, ANZAC Christmas card from Turkey, 1915, Sir George Grey Special Collections, Auckland Libraries, 630-15. 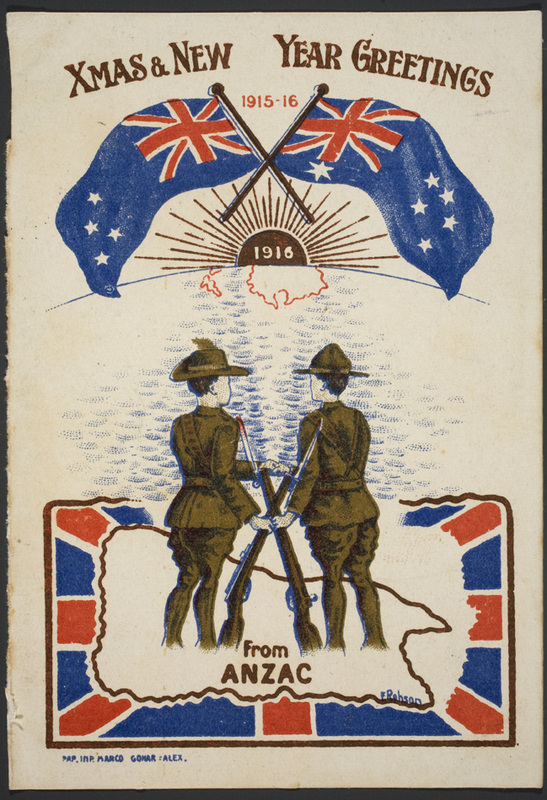 This ANZAC card is included in the selection of e-cards from 1915 available on the WW100 website. Head over there to send a last minute card! Ref: Thomas Pringle, The Hochstetter Bivouac, 6,977ft, N.Z. 266, c1905, Sir George Grey Special Collections, Auckland Libraries, 1012-62. 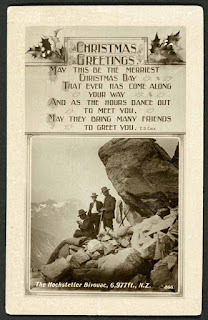 We featured one of the Christmas cards from G B Scott, a beautiful view of Mt. Cook & Mt. 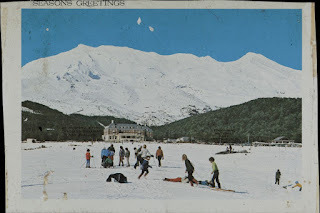 Tasman, in last year’s Christmas post, so thought we’d share the rest this year. 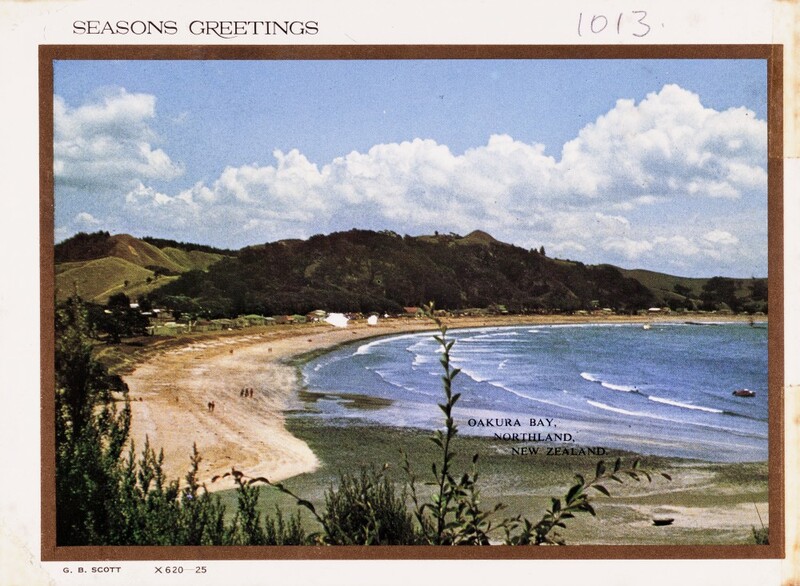 Ref: G B Scott, Seasons Greetings Oakura Bay, Northland, New Zealand, 1970s, Sir George Grey Special Collections, Auckland Libraries, 996-1013. 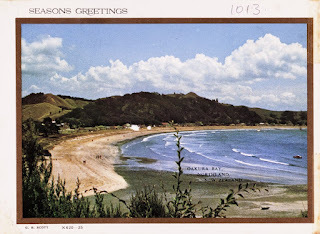 Ref: G B Scott, Seasons Greetings Mt. 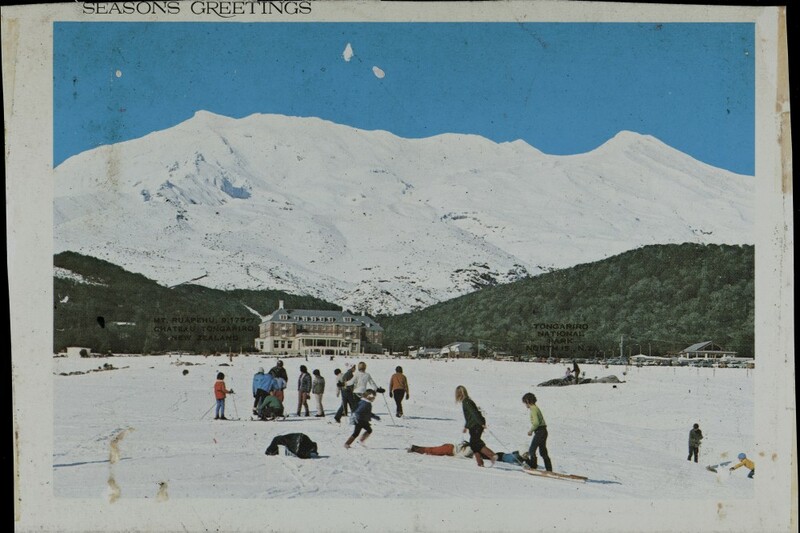 Ruapehu, 9,175 FT. Chateau Tongaririo, New Zealand, 1970s, Sir George Grey Special Collections, Auckland Libraries, 996-8263. Ref: G B Scott, Manorburn Dam, six miles from Alexandra, 1960s, Sir George Grey Special Collections, Auckland Libraries, 996-652. Ref: G B Scott, Lake Te Anau, the South Island's largest lake, is 132 square miles, 1960s, Sir George Grey Special Collections, Auckland Libraries, 996-725. 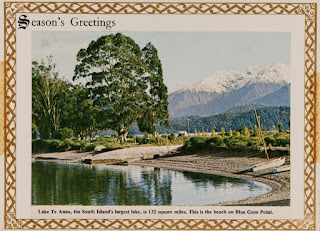 In addition to these Christmas cards G B Scott Publications also produced tourist postcards featuring iconic Auckland and New Zealand landscapes. Browse them in Heritage Images by searching ‘G B Scott’. 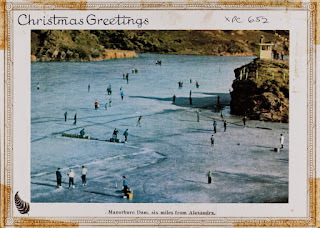 You can catch up on previous year's Christmas posts here.